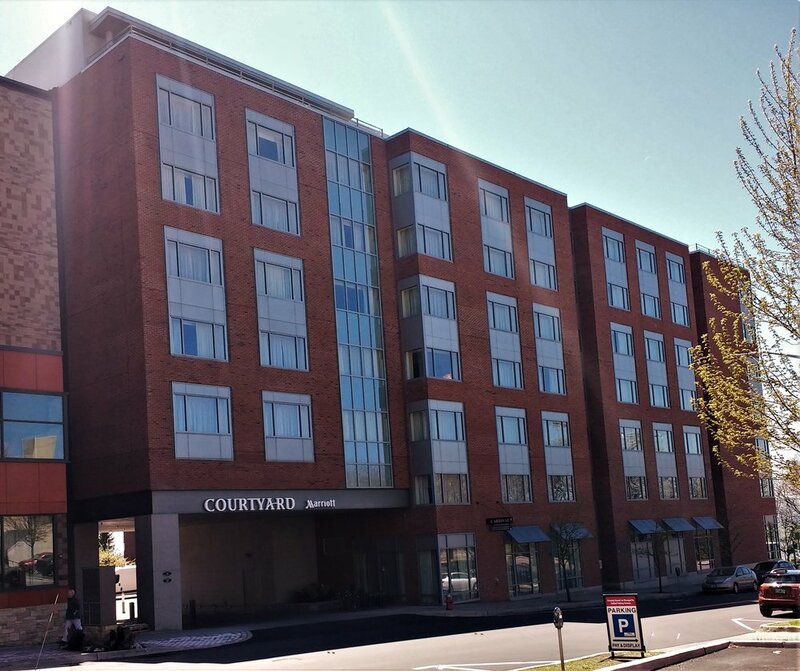 The Courtyard by Marriott Burlington Harbor Hotel is part of a larger mixed-use project in downtown Burlington, VT. Phase One of the hotel contains 127 guestrooms. Views from the site to Lake Champlain and the Adirondack Mountains beyond are exceptional. The street-level includes a bar with lake views, restaurant and meeting rooms as well as an indoor swimming pool. 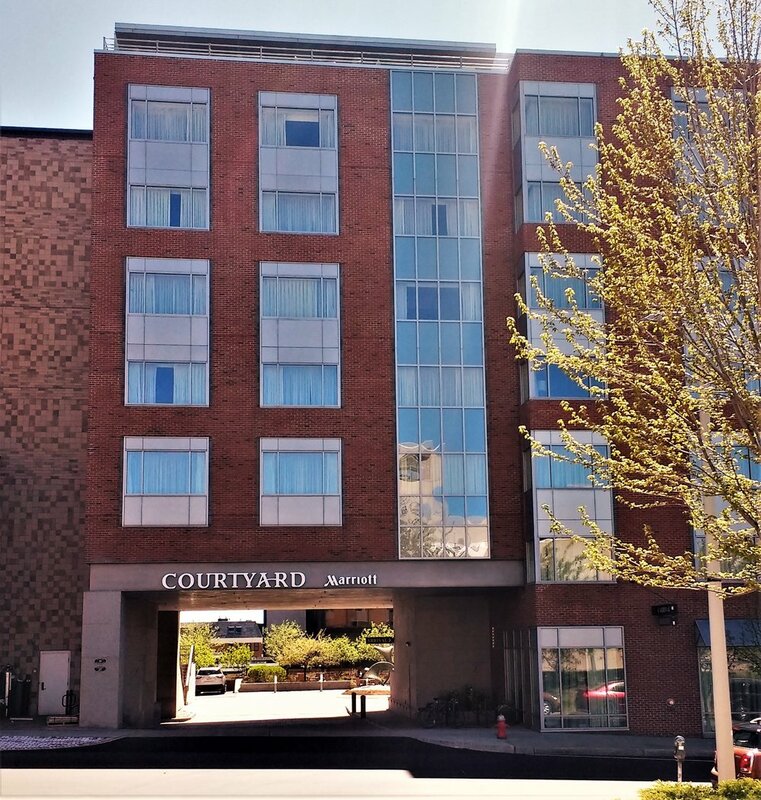 The second phase of this successful hotel project on Burlington’s waterfront involved extending the guest floors out over the entry drive. Thirty-four new rooms were added, including a hospitality suite on Level 9 with a roof terrace. The new entry drive design improved pedestrian access to the site. The project was completed by Pizzagalli Construction Company on time and within budget. The exterior design of the addition extends the materials and detailing of Phase 1. The guestroom interiors match those of Phase 1 with some minor refinements and updates to the decor. 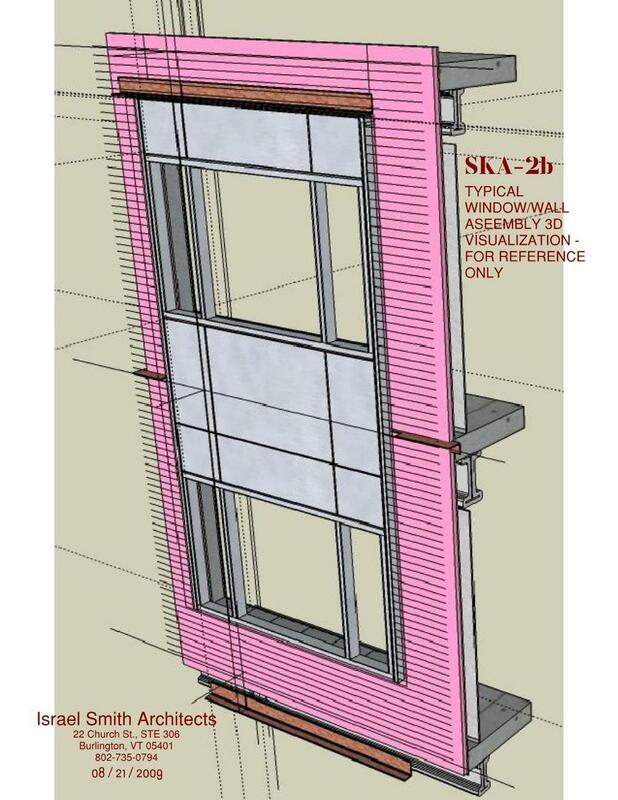 The envelope of the new portion of the building was designed to exceed the Phase 1 envelope energy efficiency by a significant degree without increasing wall thickness and while keeping a consistent detail look on the finished sides of the walls. The Owner utilized the services of a professional Owner’s Representative throughout the design and construction of the project to streamline the development group’s communication with the design team and the contractor. The project was completed on time and within budget around an existing operating hotel, with a minimum of change orders. 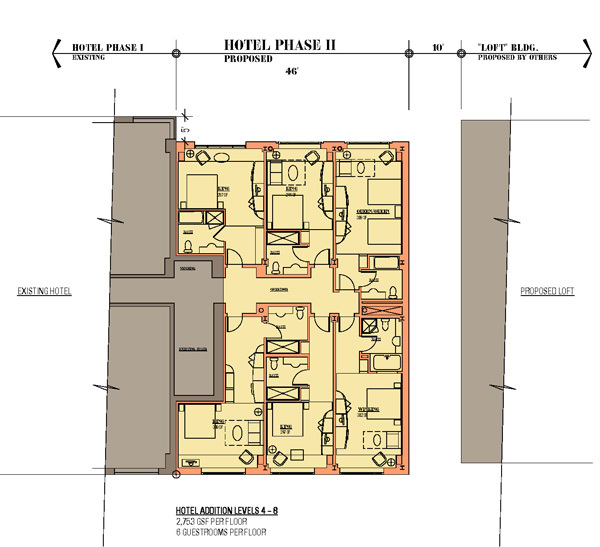 Digital renderings of the Courtyard by Marriott Burlington Harbor Hotel are by Lincoln Brown Illustration.